Yahoo! India is collaborating with schools in Indian towns to offer computer facilities and e-learning modules. The Internet firm will be compiling study modules on e-mail, search and online safety for classes up to standard 8. It will also offer computers. Yahoo! India's senior director (marketing) Nitin Mathur has said the yet to be launched programme will cater to students in tier two and three towns where students do not have access to such facilities, Business Standard reports. 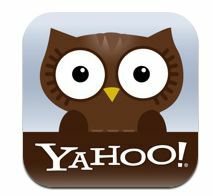 This is an extension of the company's 'Learn with Yahoo!' programme which was conducted from November 2010 to May 2011 across 2,500 cyber cafes in India. Yahoo! has launched two methods of finding apps for iPhones and Android users. The first is an app called Y! Appspot, which can be downloaded. The second is an online search Apps.Search.Yahoo.com where it shows recommendations and allows you to send the download link directly to your handset. If your phone has a QR reader, you can scan the barcode shown to directly download an app.